In the verses above, it is clear that Isaiah’s audience which is called the earth in v. 2 is clearly Israel. Here earth is used in a local sense to just refer to Israel. The fact that earth is often used in a local sense like the word land is illustrated perhaps even clearer in Jeremiah 51:24-25: “’Before your eyes I will repay Babylon and all who live in Babylonia for all the wrong they have done in Zion,’ declares the Lord. ‘I am against you, you destroying mountain [Babylon], you who destroy the whole earth,’ declares the Lord.” Throughout the Bible mountain often means a city or kingdom since fortified cities were often built on mountains (Psalms 2:6; 48:1; Isaiah 66:20; Jeremiah 51:25; Daniel 9:16; Joel 3:17). 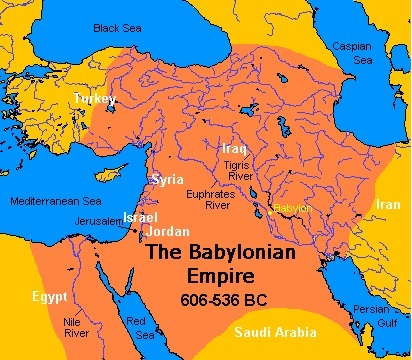 Though Babylon, the “destroying mountain” of v. 25, had a large empire that stretched across much of the Middle East and small parts of North Africa, it certainly did not conquer or destroy the entire planet. Thus in v. 25 earth is used in a local sense. From the immediate context earth appears to just signify Jerusalem addressed as Mt. Zion in v. 24. Above are several examples in which sea, waters and flood represents foreign nations. But there is more to this symbolism. As stated above, aquatic imagery often denotes foreign kingdoms. However, there is an added layer of depth to this aquatic language that extends even to the word Abyss, a word often used as a name for the afterlife realm of the dead. For an explanation of the poetic link between foreign armies and the Abyss, the afterlife realm of the dead, see The Poetic Biblical Link Between “Sea” and “Abyss”. J. Massyngberde Ford, The Anchor Bible: Revelation A New Translation With Introduction And Commentary, (Garden City, New York: Doubleday & Company, Inc., 1975), 286. G.K. Beale, The Book of Revelation: A Commentary on the Greek Text, (Grand Rapids: William B. Eerdmans Publishing Company, 2013), 882.